Match the People Movers with Professor Poplar!My name is Professor Poplar, and this is my patented People Movers Peg Puzzle, only Jumbo-sized, with a whopping 18 fun vehicle shapes! 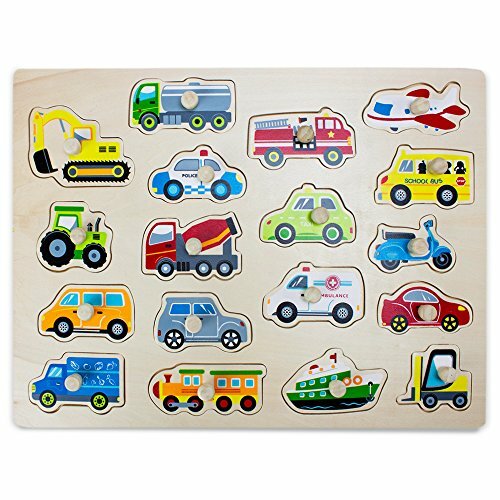 The powerful backhoe, the industrious train and tractor, and the heroic ambulance, they're all here.Playing with this puzzle is a terrific, sensory way for early learns to feel out the shapes and sizes of all sorts of familiar people movers. Under each cut-out there's even a handy hint! And, of course, all my puzzle pieces are cut from natural wood and finished with safe, water-based paint. 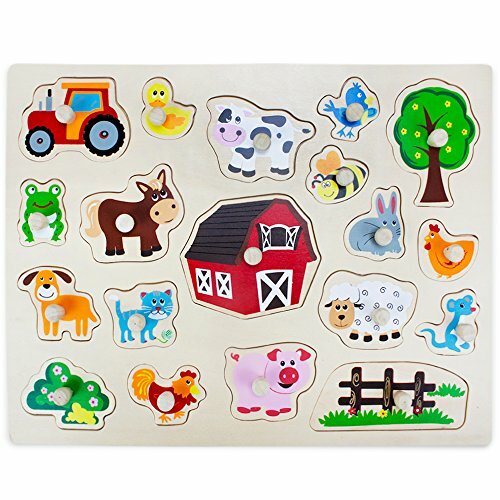 Match the Barnyard Helpers with Professor Poplar!My name is Professor Poplar, and this is my patented Barnyard Helpers Peg Puzzle, only Jumbo-sized, with a whopping 19 fun barnyard shapes! 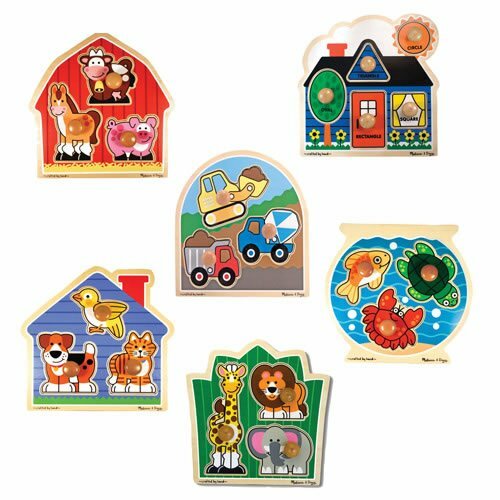 The woolly sheep, the loyal dog, the buzzing bee and flittering bird, they're all here.Playing with this puzzle is a terrific, sensory way for early learns to feel out the shapes and sizes of all sorts of familiar barnyard helpers. Under each cut-out there's even a handy hint! And, of course, all my puzzle pieces are cut from natural wood and finished with safe, water-based paint. Interstellar puzzles - Comet: the interstellar puzzles will leave you seeing stars! 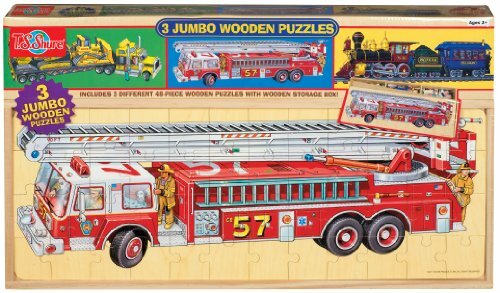 this collection of jumbo-sized assembly puzzles are made from durable wood and painted by hand, giving them an artisan look that is out-of-this-world. While solving these puzzles isn't exactly rocket science, putting all of the pieces back into place may feel like a challenge of astronomical proportions! It has 25 pcs in the base. Each pc is different. There of 5 pcs of each color. The the numbers 1,3,5,7,and 9 are also printed on the handles of each color. (thus there will be a blue-1, blue-3, blue-5, blue-7, blue-9, and then likewise for each color). The handles are a nice feature of this puzzle which we added from the original design which just had flat blocks which we found very awkward to get in and out of the puzzle. 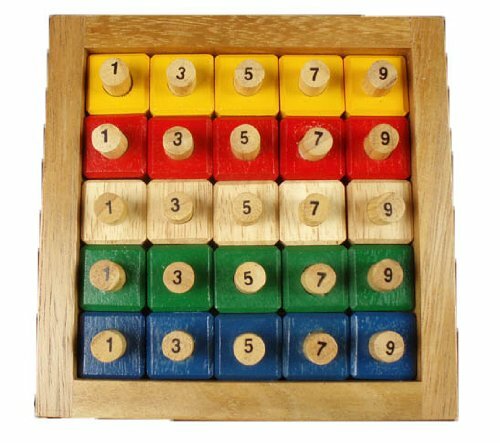 The object is to arrange all the pcs in the base such that there is no color repeated on any row, column, or any diagonal. Also, no number can be repeated on any row, column or any diagonal. Also, each row, column and major diagonal must add to 25. To tackle easier tasks to warm your brain up, you might try to tackle each of the requirements separately (that is, just work on colors, or just work on numbers, or just work the 25 addition) before you take on the full challenge of making them all happen at once! Ultimate sports - puzzle-trivia combination: football - ultimate sports puzzle trivia combinations include a jumbo sized Wooden assembly puzzle in the shape of your favorite sport ball along with 50 trivia cards! two for the price of one! a wonderful gift for your favorite sports fan and puzzler! Interstellar puzzles - satellite: the interstellar puzzles will leave you seeing stars! 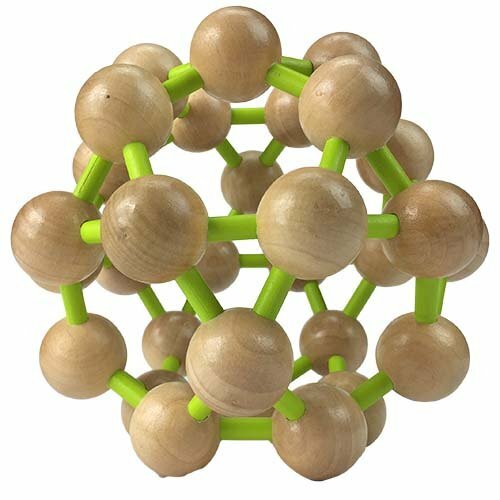 this collection of jumbo-sized assembly puzzles are made from durable wood and painted by hand, giving them an artisan look that is out-of-this-world. While solving these puzzles isn't exactly rocket science, putting all of the pieces back into place may feel like a challenge of astronomical proportions! 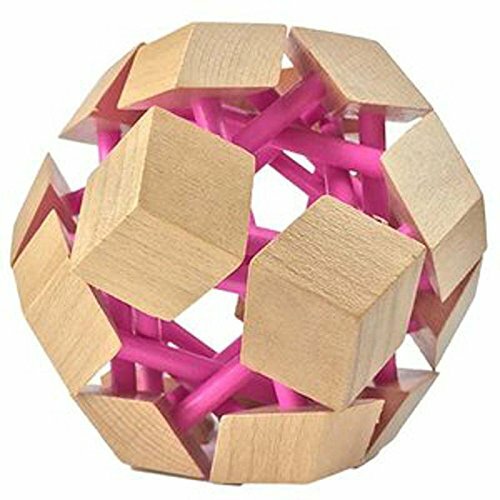 Want more Jumbo Sized Wood Puzzles similar ideas? Try to explore these searches: Rockford 1 Light Pendant, Deep Cherry Table, and Grays Cotton Dress Shirt.